My name is George Fiore, and I have been a member of both the construction and automotive industry for all of my life. I graduated with top honors in construction and automotive specialties. My years of experience in the field have given me an in-depth understanding of the safety demands in this industry and the challenges companies and employees face meeting them. I began Wicked Warnings in 2005 with the desire to provide and promote safer solutions to workers and the public on and around construction sites. My skill and expertise made Wicked Warnings popular across the nation and I quickly left the construction industry to dedicate myself completely to Wicked Warnings. This is not a side business for me, I am full time and passionate about this industry and working to keep crews and passersby safe from harm or injury. I work alongside each of my clients to develop custom safety systems and lighting on both personal vehicles and fleets. With Wicked Warnings, you receive more than just top-grade products; you receive expert advice and support from industry leading experts like myself. Try our free ten-minute phone consultation service to discuss your warning and safety lighting system now by calling (630) 361-4390, what do you have to lose? The Wicked Warnings team works with you on a personal level. Not only do we provide products and installation services, but we also offer expert advice regarding Department of Transportation compliance regulations and restrictions. My team has extensive knowledge regarding this industry and assessing the needs of various vehicles to ensure complete legal compliance. Owner George Fiore directly oversees each project to ensure that your business’s needs are not only met, but also exceeded. 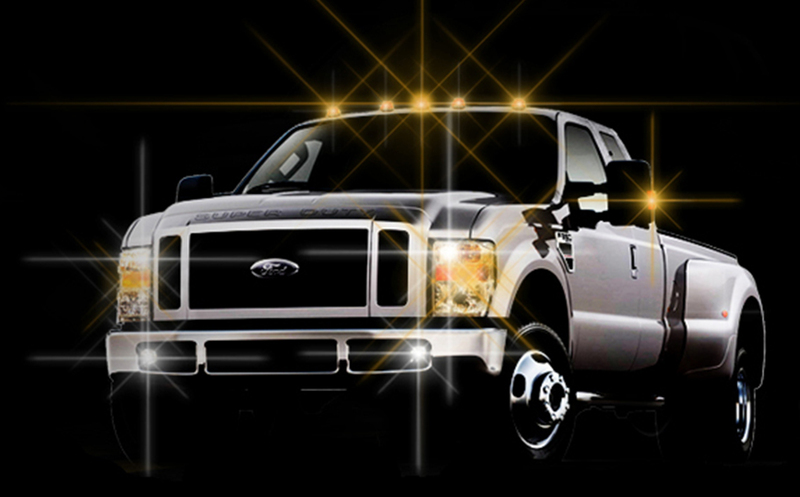 Whether you are looking to upgrade your vehicle with LED strobe lights, or repair an existing vehicle, we have the products you need, while delivering the service you deserve, and the ability to handle it all from start to finish. Wicked Warnings has different options to best serve the differing installation needs of our customers. Bring your vehicle to us and get outfitted right here in the western suburbs of Chicago. Our on-site installation service is ideal for a commercial location with enough space to store three vehicles indoors. Our installation rates include a $2.00 per mile charge (round trip) for travel. The last way to get your custom safety and emergency lighting is through our Wicked Online Store. Our store features top products shipped to you door for FREE. You read that right; Wicked Warnings offers free shipping on all products every day of the year. If you are in search of a particular product and you don’t see it in our store, give us a call at (630) 361-4390 and let us order it for you. If you have questions or comments about our services or products, please fill out the form below. Check out our videos page for more information about our products and installation tips from the pros.